Well done to all the students who ran the on Wednesday. 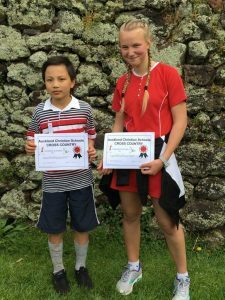 City Impact Church school had some strong performances, with a special congratulations going to Nino from Year 6 and Denielle from Year 9 who both placed third in their events. A big thank you to all the parents who took the time to come out on Wednesday and support the team. You guys rock! !